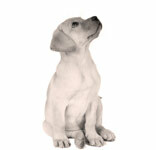 Chicago positive dog training solutions for a happier life. Worried about your dog’s aggression, anxiety, or fear? Dread your walks because your dog constantly pulls on leash? Ready to set good habits for your new rescue dog or puppy? Barker Behavior compassionately provides private dog behavior and training services focused on your needs—not ours. We’ll bring tangible tips to every session, personalized to alleviate your concerns regarding your dog’s behavior in real-life situations. If you’re ready for a better-behaved dog, using everyday rewards, let us customize a training plan that fits your lifestyle. Contact us! We’ve spent more than 20 years training dogs on Chicago’s north-side via practical, fun, and effective solutions. Our goal for you? To feel confident reinforcing our positive training techniques (at home, on walks, at the park) where ever you need your dog or puppy to behave. Whether you need help teaching manners to a recently adopted dog or are struggling with a serious behavior issue, we’re ready with expert training guidance—so you enjoy a happier life with your dog.